Orson Welles, host and narrator of Black Museum, welcomed listeners to Scotland Yard's "warehouse of homicide", containing everyday objects that either brought a killer to justice or were used to do a killer's dirty work. In each episode, Welles strolls through the "repository of death", selects one object, and tells its story. 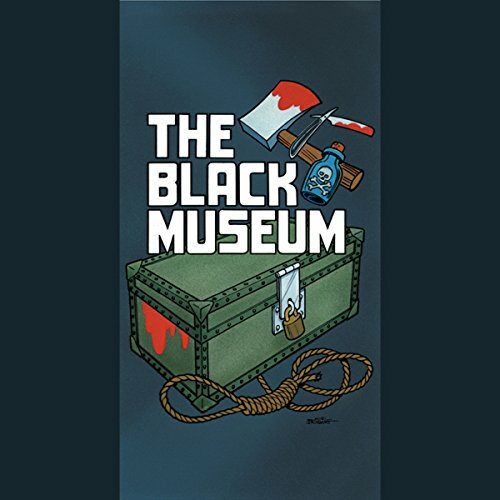 Take another tour of the Black Museum. © and (P)2006 Radio Spirits Inc.
Love this little stories narrated by the wonderfully loquacious Orson Welles. Can't beat a good story....wish there were more in this range.